Mountain Pepper is an evergreen shrub often used as a culinary spice. 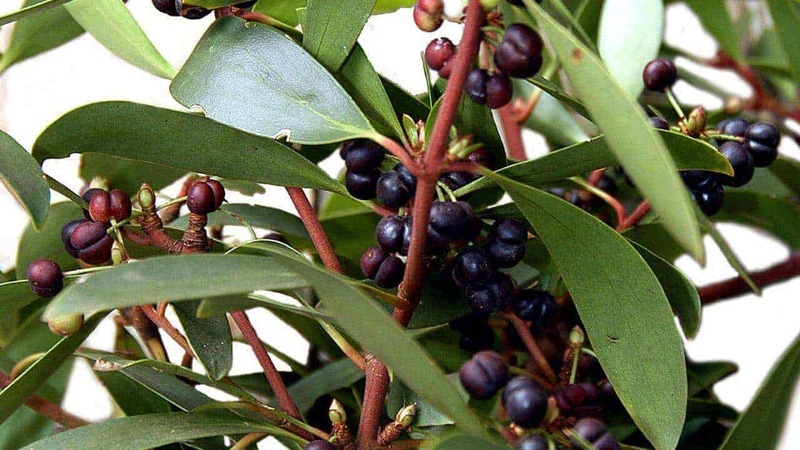 It can be found in Aboriginal cuisine as a food flavouring, as well as in traditional medicine as a treatment for skin disorders, venereal diseases, colic and stomach ache. It is native to the woodlands and cool temperate rainforests of Australia’s south-eastern region. In the Spring, Mountain Pepper produces small yellow or creamy white flowers that turn into red pepper berries over the Autumn season if both male and female plants are present. These berries eventually turn black when they ripen. Both leaves and berries may be used fresh or dried to add a spicy, peppery flavour to curries, cheese, salad dressings and sauces. Flowers may be enjoyed fresh in salads, or as a pretty, peppery garnish for a variety of sweet and savoury dishes. Dried berries make a pungent native substitute for black pepper. They may be kept fresh for longer in the freezer. Leaves may be harvested throughout the year, but are said to taste best between February and late September (before the onset of flowering). Fresh ripe (black) berries may be harvested between March and May. This species is fairly hardy – out in the wild, it can survive sub-zero temperatures, exposed terrain and windy sites. However, it grows best in lime-free, fertile, moist and well-drained soils in semi-shade positions sheltered from the hot Summer sun and drying winds. Condition the soil with plenty of organic matter before planting, and ensure the ground is mulched before Summer. 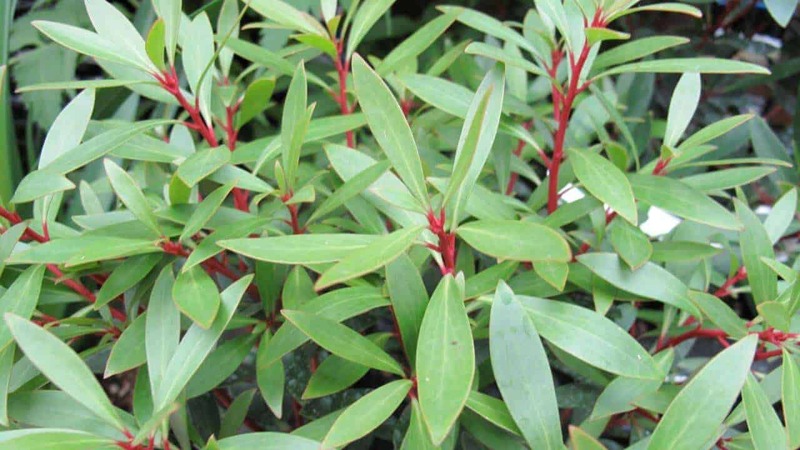 Mountain Pepper is a bushy, medium to tall plant reaching up to 8m in its natural habitat. It will grow up to 5m in a backyard garden (unpruned), and is easily kept smaller, with pruning, as a gap-filling shrub or potted ornamental. How often should I prune my Mountain Pepper? Prune once a year during the cooler months. This plant responds well to pruning, and you may find vigorous new growth appear as a result. When should I fertilise my Mountain Pepper? Use a slow-release fertiliser in the Spring. Why are my Mountain Pepper leaves getting yellow patches? Though this species is hardy and can tolerate a range of environments, full sun exposure, and extended hot weather especially over the Summer, may cause the leaves to burn. Add shade to the surrounding area or, if your Mountain Pepper lives in a pot, simply shift it to a more sheltered spot.